The variety of colors. textures, and various properties of wood make it a superior material for many applications. But wood is also a substance of greater complexity in comparison to other, man-made materials, and lack of understanding its nature, and improper use, lead to waste. Rational utilization, based on knowledge of its structure and properties, and proper industrial practice, guarantees not only reduction of waste during manufacturing, high quality and langer-lasting products, but it can also help to conserve valuable forest resources. 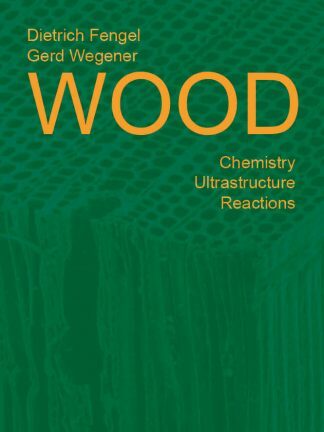 This book deals, in a comprehensive manner, with the anatomical, chemical, physical, and mechanical characteristics of wood, as well as with up-to-date technologies of industrial production. 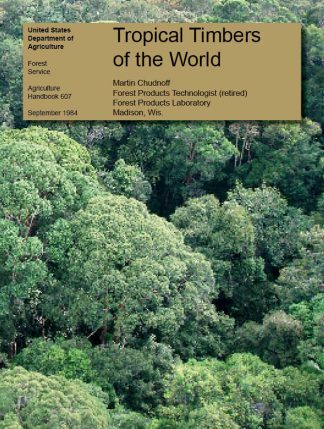 The book is written with an international perspective, and covers North American, European, and important tropical woods. Identiflcation keys are included for all the woods discussed. 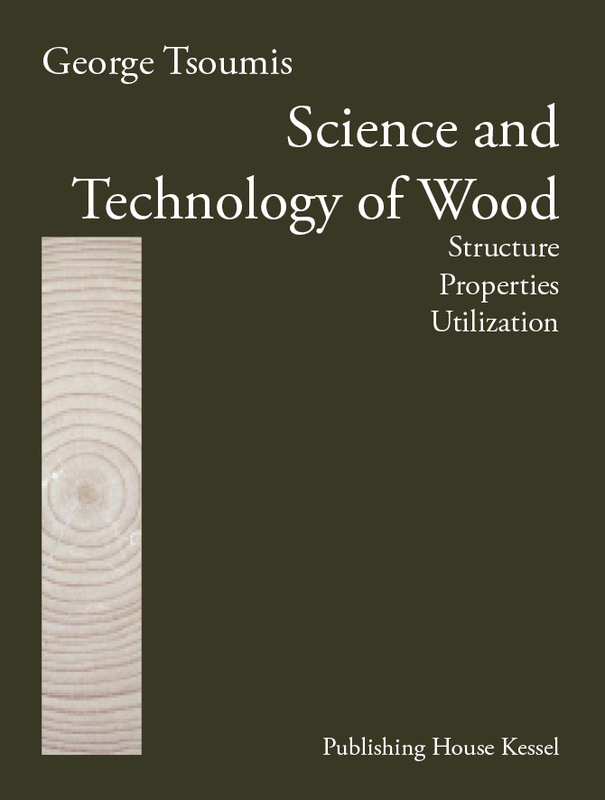 • Structure – Coverage extends to macroscopic and microscopic characteristics, chemical composition and ultrastructure, the mechanism of wood formation by trees, variation of structure and abnormalities in wood. • Properties – Detailed chapters address density and specific gravity, hygroscopicity. shrinkage and swelling due to gain or loss of moisture, mechanical properties, thermal properties, acoustical properties, electrical properties, and wood degradation, i.e., its durability as affected by bacteria, fungi, insects, marine borers. and other destructive agents. • Utilization – This section deals with all products of primary manufacture, namely roundwood products (poles, posts), lumber, veneer, plywood, laminated wood, particleboard, fiberboard, pulp, and paper. Air- and kiln-drying, preservative treatment and adhesives for gluing wood are also covered. Also discussed are products of secondary manufacture such as furniture, chemical products, use of wood as a source of energy and other forest products such as bark, foliage and pine resin. 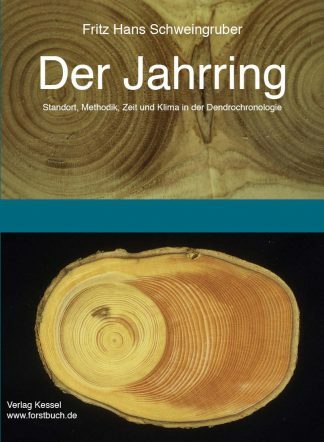 Bark as a material is given a first-tune comprehensive coverage with regard to its structure, chemical composition, properties, and utilization. 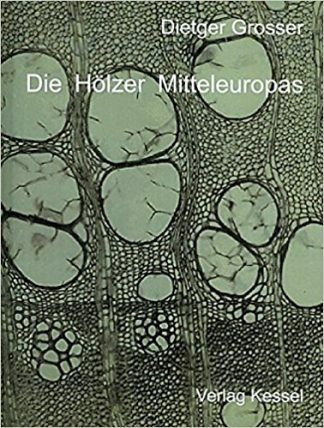 Hundreds of photographs, including many electron photomicrographs, and other illustrations help clarify all aspects of wood as a material and the manufacturing of products. Science and Technology of Wood is an invaluable reference for students, professional foresters and wood technologists, structural engineers, architects, technical and administrative personnel in wood-using industries, manufacturers of wood products, and forest owners. George Tsoumis is Emeritus Professor of Forest Utilization. Department of Foresty and Natural Environment at the Aristotelian University in Thessaloniki, Greece. He has extensive teaching and research experience in both the U.S. and Europe, has taught at Montana University and Pennsylvania State University, and was Research Associate at Yale University, Faculty Affiliate at Colorado State University, and Visiting Professor at Auburn University in Alabama. 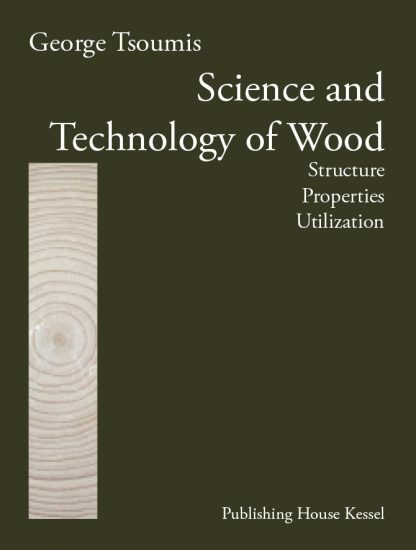 Dr. Tsoumis is a Fulbright Scholar and A Fellow of the International Academy of Wood Science. He is the author of Wood as Raw Material, as well as the section on wood and wood products in the Encyclopedia Britannica. He holds a degree in forestry from the Aristotelian University, a Master‘s degree in Wood Technology from the University of Michigan and a Doctor of Forestry degree from Yale University. 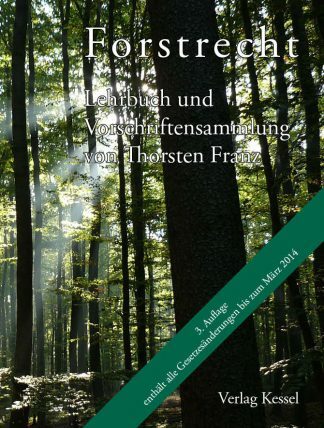 Du siehst: Science and Technology of Wood – Structure, Properties, Utilization (Tsoumis, G.) 36,00 € Preis inkl. MwSt.